General, Family and Cosmetic Dentistry - World Class Smiles! front door is on Fairmont Ave.
Lodi Dentist, Dr. Patrick Sweeney is dedicated to family and cosmetic dentistry such as exams, teeth whitening, veneers, crowns, fillings and more. 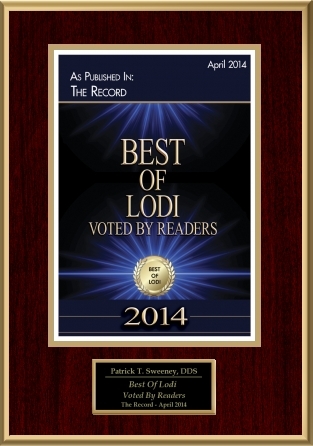 Patrick T. Sweeney, DDS is a Lodi, Ca family dentist.